The identity of TheFatRat is still a bit of a mystery, but as a producer, he has made some of the best remixes I’ve ever heard, from remixing “Brightside” to “Somebody I Used To Know” to “Levels”. 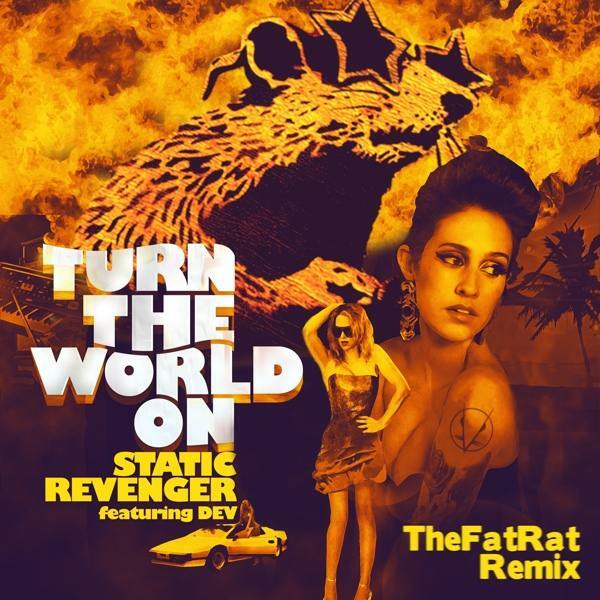 On his remix to Static Revenger‘s “Turn The World On”, TheFatRat includes vocals from Dev that will for sure become stuck in your head. The remix has the hard bass and TheFatRat’s unique electro sound, making it full of energy and sure shot to make his crowds dance along. If you haven’t heard any other material from TheFatRat I would suggest checking his Soundcloud out because he has at least 5 more hits just like this.